Nov. 20, 2012 9:00 a.m.
To the average park visitor, hikes through Mount Doug offer winding trails, scenic views and beach access,188-hectares of solace within Saanich. For members of the Friends of Mount Douglas Park Society, an afternoon walk also offers clues to the park’s storied past – a past highlighted this week on the 20th anniversary of its transfer from the province to Saanich. Darrell Wick, president of Friends of Mount Doug, briskly climbs toward the summit of the mountain. To his left, a park volunteer pulls invasive species – broom, garlic mustard – to his right, a steep slope still bears the scars of motorcycle climbs from the 1960s. And further along his walk: the mouth of one of two of the mountain’s abandoned mine shafts, built circa 1870 when prospectors found gold flakes and quartz. Wick doesn’t hesitate to climb right into the mouth of the cave, which could easily go unnoticed. While he can’t recommend the adventurous activity, he happily answers questions from curious passersby, acknowledging with a chuckle that the level of spiders within the shaft is low. At the summit, more hints at the park’s mysterious past easily fly under the radar. Two large cement blocks of unknown origin are now covered over in moss. Another question mark emerges: the remnants of bases for wood power poles. A man-made pond near the summit appears to be the last of the enigmas atop the mountain. Some of Mount Doug’s known history still might come as a surprise to visitors. The top parking lot sits on a sunken two-storey building that houses equipment for the nearby transmission tower. The existence of the building easily goes unnoticed by most – one of the two initial triumphs for Wick, who, along with a group of advocates, rallied to see the equipment moved from a location planned on the southeast summit. The other key controversy from which the Friends of Mount Douglas Park Society was born in 1989 during the 100th anniversary of the park: their successful bid to stop the extension of Shelbourne Street, four lanes of roadway, through the park. Though the park had been previously owned and operated by the City of Victoria, by 1989 it fell under jurisdiction of the province. On Nov. 22, 1992, B.C. officially transferred the title to Saanich and the district installed a copper charter at the summit. Since 1992, Saanich has added more than 21 hectares to the park, including the lands around Little Mount Douglas within the park boundary. On Thursday, Nov. 22, the society and the district will host a park rededication ceremony and unveil a second charter and several enhancement projects. Balancing the desire to preserve the land in its natural state with enjoyment of increased visitors – a daily rush of whom now come to the park before noon while the summit road (Churchill Road) is closed to vehicle traffic – is the biggest, and unrelenting challenge for the society, even after 20 years of successes. 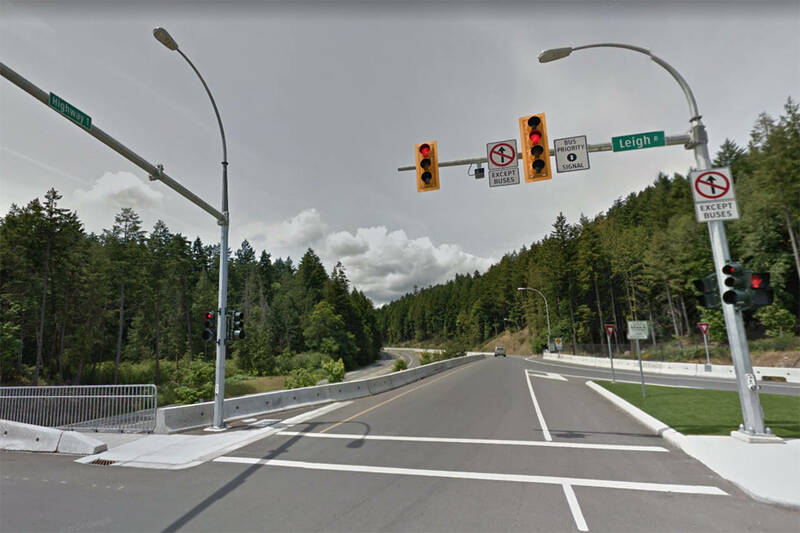 Rebuilding salmon beds in Douglas Creek, monitoring the deterioration of Cordova Bay Road along eroding cliffs, tree planting and keeping up with the spread of invasive species are ongoing issues, Wick said. The Mount Doug park 20th anniversary ceremony is Nov. 22, 10 a.m. at the front gate of Churchill Drive. –The forest was the source of the cedar pickets used to construct Fort Victoria in 1843. -Established as a government reserve in 1858 and named after first Governor, Sir James Douglas. -In the early 1900s, the Royal Oak Station of the V&S Railway brought park visitors about three kilometres from the park. In 1915 a bus route through the park connected Royal Oak with Gordon Head. -A restaurant operated by George and Elizabeth Libby, and a tea room operated by Maude Hunter, drew visitors from the 1920s to the 1950s.